The little monsters birthday cake has become something of a drama in our house – I enjoy baking and will occasionally attempt a bit of cake sculpting (see last years Dinosaur cake). 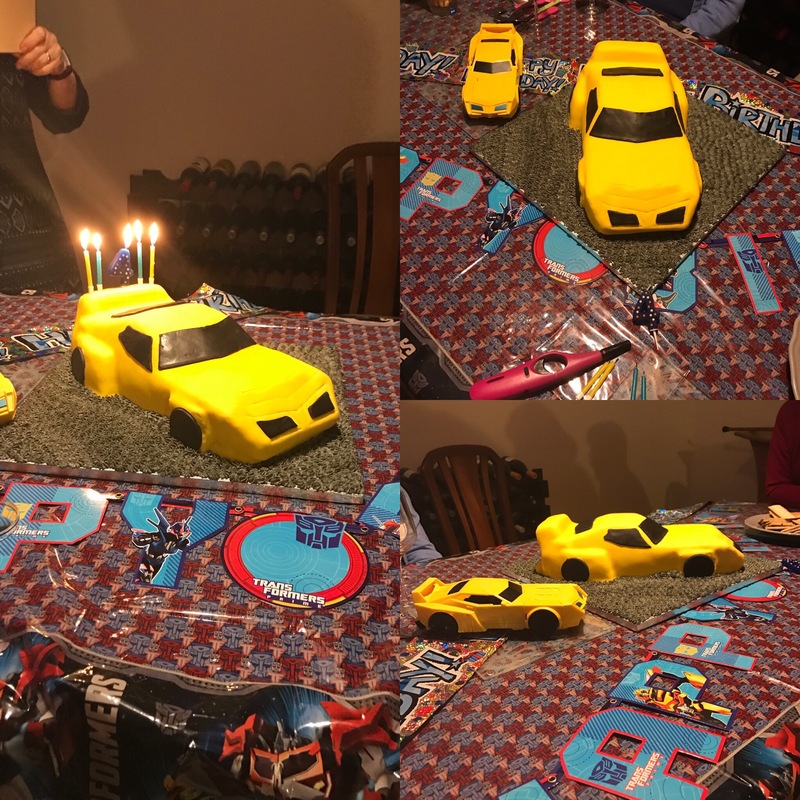 Monsters birthday is in March.. we probably started talking about the cake in January and he was insistent that he wanted ‘Bumblebee’ (the transformer not the insect). I set the expectation right there that the cake would not be transforming. Monster is dairy free so I used a mixture of sunflower vitalite for the cake and Trex for the icing. Fortunately my other half is somewhat genius when it comes to sculpting and spacial awareness so this definitely comes into play for the details! It went down a storm until he told me next year he wants a car that moves.. with the Hulk sitting inside driving… hopefully he’ll decide he loves hedgehogs by then!